Christina Aguilera and Demi Lovato weren't made to fall in line, but they'll sing that way. The duo will sing "Fall in Line" live Sunday at the 2018 Billboard Music Awards, a collboration that had been teased by Lovato months earlier. "I did a collaboration with one of my biggest idols. I can't give away who it is yet, but you'll find out soon," Lovato told Billboard in February. "I can't wait for the world to hear it. It's an incredible song." In the May 5 issue, Aguilera confirmed she had recruited Lovato. "We went through a few names of women. I needed a belty singer, and she took it to the next level," the diva said. "I almost cried when I first heard her on the record." Aguilera has a history of working with strong female musicians like Alicia Keys ("Impossible"), Lil' Kim ("Can't Hold Us Down"), Nicki Minaj ("Woohoo") and Peaches ("My Girls"). "Fall in Line" follows "Accelerate," featuring 2 Chainz and Ty Dolla $ign, and the tender ballad "Twice." 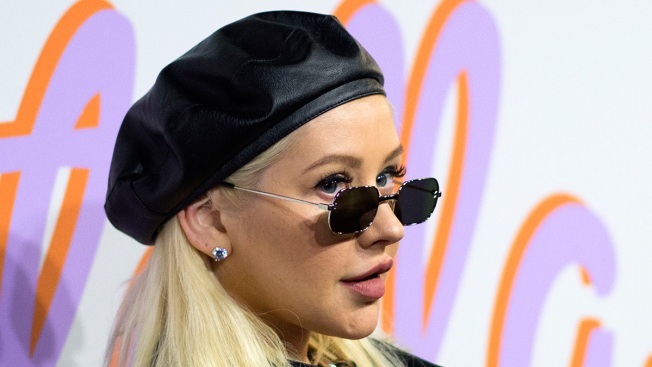 In September, Aguilera will embark on her first tour in over a decade. Original Post: Christina Aguilera and Demi Lovato Release "Fall in Line"--Listen Now!